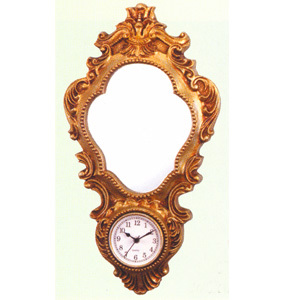 Mirror With Clock. Beautiful Design In Gold Finish. Size: 10 x 4 x 21H..